Some of you may know that I love Saint John’s alleys and have done various stories on them over the years such as HERE, HERE and HERE. These were all stories on the “what ifs” and untapped potential of our alleys but today some creative and talented folks at ACRE Architects took it upon themselves to transform one of our alleys in to a magical “art installation” called “THE PARK”. As they say, many hands make light work and there were many helping string a mini light canopy from one side of this Grannan Street alley to the other. I found it perfectly fitting that the whole scene this afternoon was kissed by a gentle fog and, strangely, bubbles were also floating by. A quick search for @historicadev on twitter uncovered this “It’s happening. It’s today. It’s free. 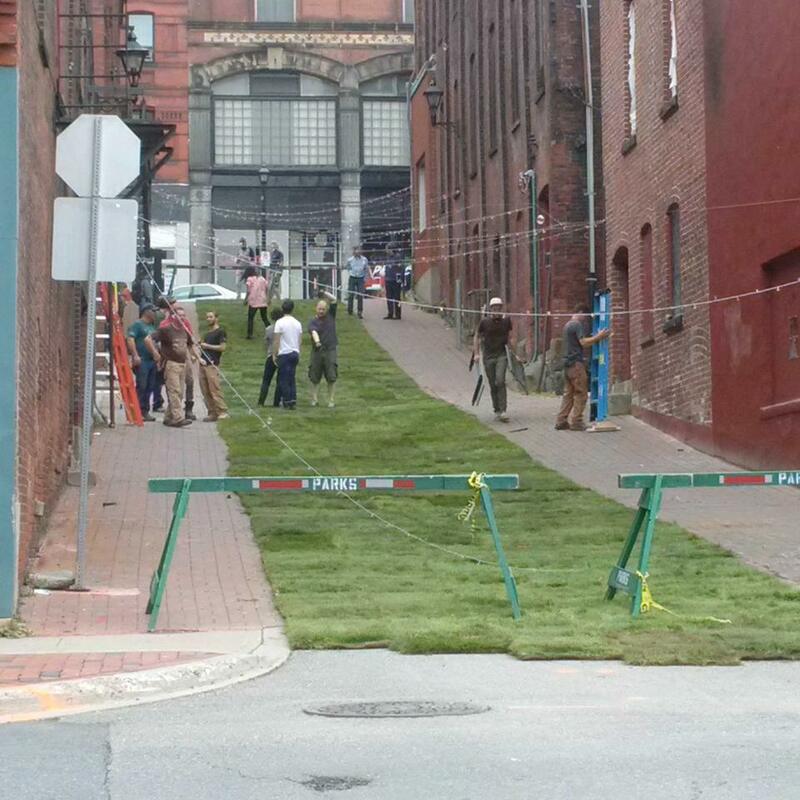 7pm – Uptown Saint John – 17 Public Art Installations #thirdshiftsj“. According to the http://www.thirdshift.ca website “Third Space Gallery invites you to Third Shift. Saint John, New Brunswick’s first ever night-time, outdoor art festival. Art works after hours…” I can’t wait to see it after dark! By Stephanie in Commercial Real Estate, Partners Global, Saint John on August 21, 2015 .